This entry was posted in Uncategorized and tagged celebrity weight loss, diets, fast weight loss, Fat Chick to Cover Model, fat loss, fitness, health, holistic dieting, Kamille Tirzah, medical weight loss, nutrition, nutrition coaching, wellness.. Bookmark the permalink. 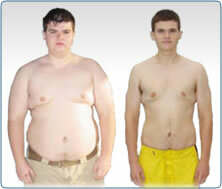 ← Confused About How YOU Can Lose Weight??? ?